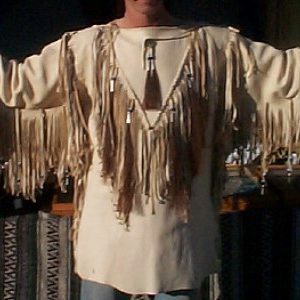 This handsome war shirt is hand sewn from brown buckskin leather & decorated with beaded strips which are beaded by hand. 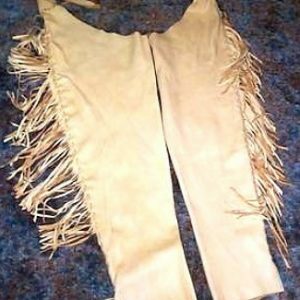 It has a lot of hand cut fringe & is further decorated by metal conchas & locks of genuine blonde horse hair with bone hair pipes & glass crow beads. 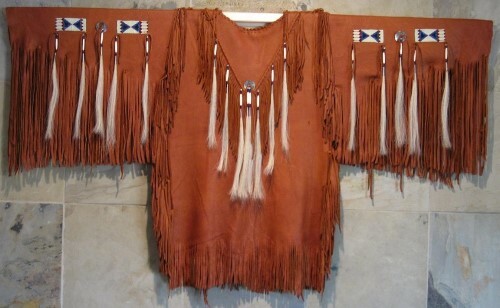 In the point of the bib is a polished abalone disk with horse hair tassels. 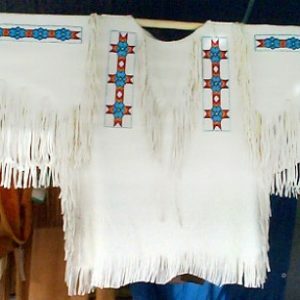 This shirt is beautiful to wear as it or it can be further decorated by you. 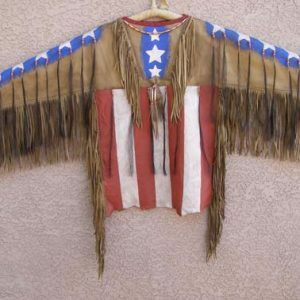 Wear it proudly at your next powwow or like event or display it with your Native American collection.